And SRG membership for 1 year! Upon arrival, check in at the reception desk to purchase your annual membership (or renew your current membership), then join us all for food, drinks, music, and fun! 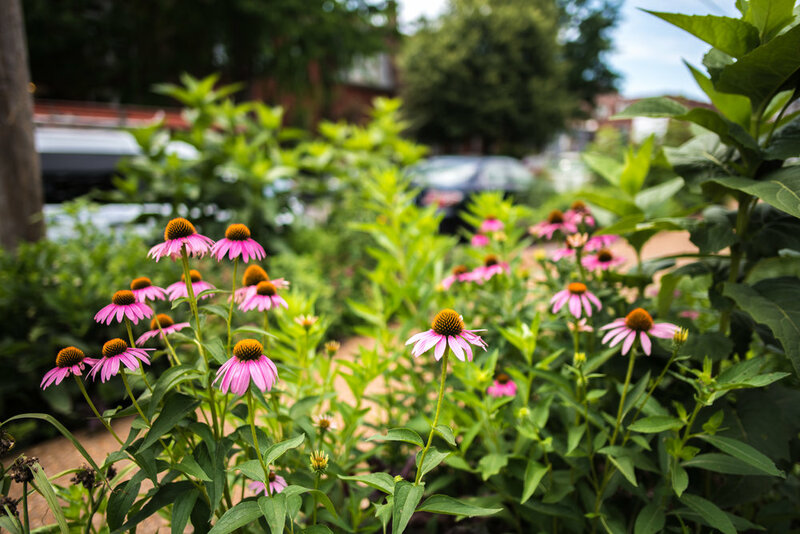 Please consider joining one of the SRG committees (Membership, Beautification, Coding & Zoning, Communications, Fundraising, Safety, Parlour Tour, Residential Promotions, or Soulard Station). 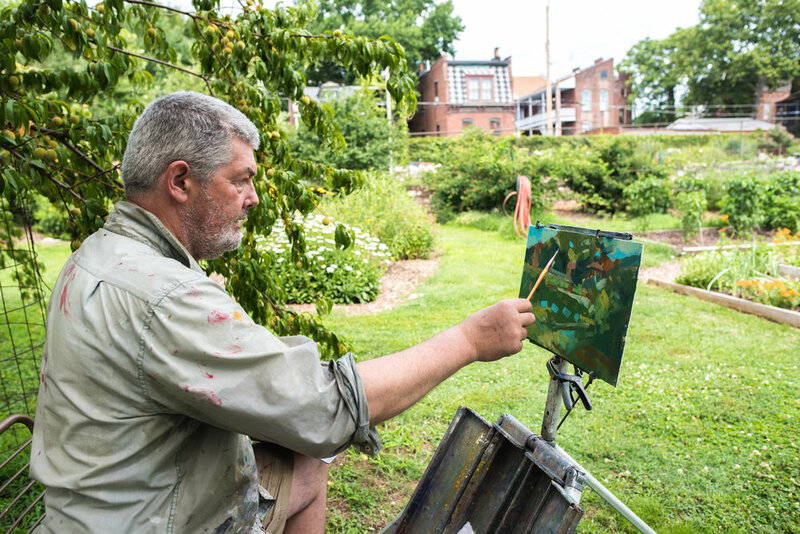 The Art in the Garden Tour invites guests to take a Historic Walk through featured gardens and see artist creating new works of art right in front of you. Saturday, June 22 from 9 a.m. – 3 p.m. This self-guided tour will begin and conclude at the Soulard Station at 1911 South 12th Street. The tour will feature eight private gardens, and each garden will host local musicians providing music and a local artist creating an original work of art inspired by the environment around them. 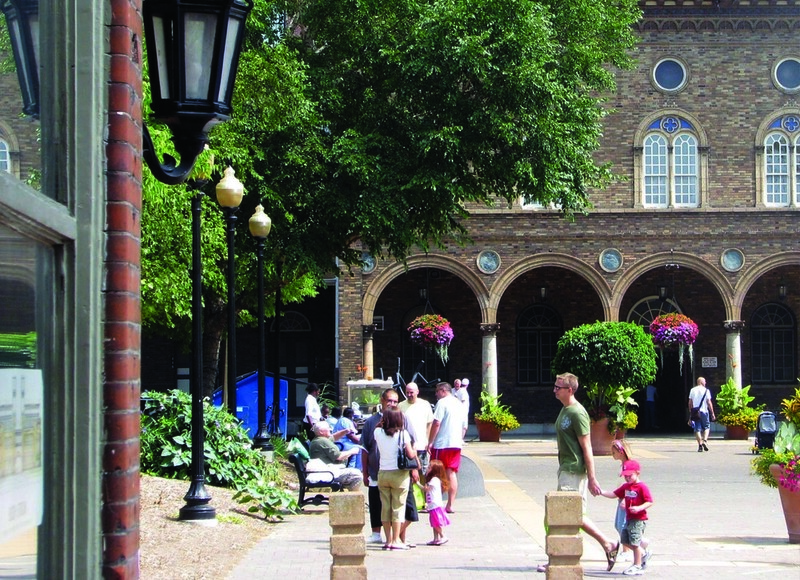 At the conclusion of the tour at the Soulard Station visitors can listen to live music while relaxing in the wine garden. Pieces of art created by the featured artists will be available for viewing and purchase. Tickets are $22 per person and are available online at www.soulard.org until Noon on Friday - or may be purchased at the Soulard Station (1911 S. 12th Street) the day of the tour. The Soulard neighborhood is an economically- and culturally-diverse community located less than two miles south of downtown Saint Louis. The Soulard Farmer's Market from 8th Street. The Soulard neighborhood is an economically- and culturally-diverse community located less than two miles south of downtown Saint Louis. The area is named for Antoine Pierre Soulard, a pioneer Frenchman who first came to the area in the late 1790s as a surveyor for the King of Spain. Soulard is one of the oldest parts of the city with original housing stock dating from the mid- to late-1800s and exhibiting a range of architectural styles that include Second Empire, most identifible by the characterisic Mansard roof The neighborhood applied for and was granted its historic designation on December 26, 1972. ResPromo will be combining with Beautification to hold Potluck in Pontiac Park to dedicate the Cassilly Lion benches that Luke Reynolds donated . That will be April 28th at noon. Meet your neighbors, make new friends and learn more about the Soulard Restoration Group neighborhood association! Each May, the SRG Membership Committee hosts its annual Community Party. This year, entry is just $20/person, $30/couple, $1/seniors or $30/business and includes SRG membership for a whole year (in addition to a great night of drinks and food at Mad Art Gallery). Check out www.soulard.orgfor more information on SRG (or to purchase your annual membership in advance of the Community Party). The 2017 Soulard Star directory is available online as well as in print. Just click the picture to view the online version of the directory.